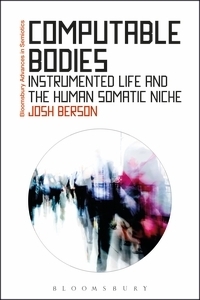 'Computable Bodies' by Josh Berson - 20% off for all QS members! Data. Suddenly it is everywhere, and more and more of it is about us. In Computable Bodies, anthropologist Josh Berson asks how the data revolution is changing what it means to be human. Drawing on fieldwork in the Quantified Self and polyphasic sleeping communities and integrating perspectives from interaction design, the history and philosophy of science, and medical and linguistic anthropology, he probes a world where everyday life is mediated by a proliferating array of sensor montages, where we adjust our social signals to make them legible to algorithms, and where our capacity to generate data is reconfiguring the body-world interface in ways scarcely imaginable a generation ago. Rats - I thought he'd shown up!